Cardiac arrests that occur outside the hospital are one of the leading cause of sudden deaths in the USA and Canada. It is believed that each year more than 250,000 people lose their life due to sudden cardiovascular dysfunction. Researchers are putting in their efforts to study events associated with cardiac arrest. One of the significant finding of cardiac arrest is pulseless electrical activity(PEA). In this article you'll get a full picture of PEA. What Is Pulseless Electrical Activity? 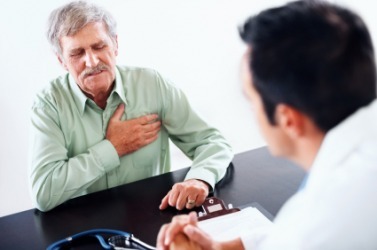 PEA is a medical condition that is characterized by irresponsive mechanical pumping activity of heart, while rhythm or electrical activity of the heart remains normal. Due to this irresponsiveness, cardiac arrest may occur. Patients with pulseless electrical activity have no pulse, are unconscious and usually undergo respiratory arrest; therefore, they are acknowledged as clinically dead. PEA is one of the rhythms of heart, like asystole, that does not undergo shock with a defibrillator like automated external defibrillator (AED) as defibrillation is useless in most cases. Defibrillation is needed in case of lacking electrical disarray. But pulseless electrical activity doesn't affect electrical activity of heart. There is no need and no use to deliver shock with automatic AEDs or semi-automatic AEDs. In order to prevent the occurrence of cardiac arrest, normal electrical rhythm is essential; however, the role of a healthy heart muscle can't be ignored because a normal heartbeat results from the effective coordination of heart muscle and electrical activity. How Do I Know If I Have Pulseless Electrical Activity? Now let's look at the symptoms you may have with pulseless electrical activity. Patient having pulseless electrical activity usually lose consciousness, while cardiac rhythm can be recorded if ECG leads are attached. Possible rhythms that may be seen include bradycardia, tachycardia and normal sinus rhythm. Even when the rhythm is being recorded on the monitor, the patient may not exhibit any signs of manual blood pressure or palpable pulse. If left untreated, this may result in the diminished or stopped electrical activity and the patient may even undergo asystole. Therefore, assessment of the patient is the most important aspect in managing this condition. For assessing the pulse, palpate carotid artery which is located in the neck region. Most times the presence or absence of pulse can be easily confirmed, but in case of any doubt, a stethoscope may be used to check for pulse over the heart's apex. Patient having pulseless electrical activityhas grey or blue-tinged skin color because of inadequate supply of oxygen to various parts of the body. CPR helps improve the color of the skin to great extent even in patients with PEA. The one symptom that's really significant associated with PEA is the difference between the assessment of the patient and what's really displayed on the monitor. What Causes Pulseless Electrical Activity? Hypoxia means decreased oxygen supply and cardiac arrest may also result from inadequate oxygen supply. In this case, patient's airways must be maintained and protected. Also, for normal respiratory movements, the chest must rise and fall with every breath. Make sure that the oxygen source is connected appropriately. In order to know if the patient has acidosis or not, ABG (arterial blood gas) evaluation must be performed. Proper ventilation alleviates respiratory acidosis, while sodium bicarbonate helps with metabolic acidosis. Hyperkalemia causes widened QRS-wave and an elevated T-wave on an EKG. It can be treated with kayexalate, IV calcium chloride, IV sodium bicarbonate, insulin + glucose and dialysis. Hypokalemia causes flat T-waves, widened QRS-wave and a prominent U-wave. It can be treated by potassium infusion. Hypoglycemia meanslow blood glucose level which can affect the body negatively, such as causing cardiac arrest. It can be treated by IV dextrose to raise blood sugar level. Upon exposure to cold, you should try to make yourself warm. Hypothermia causes irresponsiveness to electrical or drug therapy. Body temperature must be elevated above 30 °C or 86°F. Overdose of various medications can result in pulseless arrest such as digoxin, tricyclics, calcium and beta blockers. Besides, street drugs like cocaine and some other chemicals will also lead to pulseless electrical activity. ECG findings of toxicity include prolong QT interval. Suitable antidote may be given to deal with the toxicity. It is characterized by the accumulation of fluid in the sac that encloses the heart, pericardium. As a result, the heart fails to pump blood adequately leading to pulseless arrest. Pericardiocentesis may treat this condition. It is characterized by entrapment of air in the pleural space that leads to buildup of tension, thereby, causing the shift of intrathoracic structure, which is followed by cardiovascular collapse and death. ECG shows narrow QRS complexes anddecreased heart rate. Needle decompression may help treat the condition. It means a blood clot blocks the coronary artery that may culminate in acute myocardial infarction (MI); ultimately, itcould damage the heart muscle and leads to death. ECG shows ST-segment changes, Q-waves and T-waves inversions. Percutaneous coronary intervention may help treat coronary artery thrombosis. Pulmonary embolism is the occlusion of the major artery, leading to respiratory collapse followed by death. ECG shows increased heart rate and narrowed QRS complex. It can be treated by surgical intervention and fibrinolytic therapy. Traumatic injuries may be determined and evaluated with the information of patient's past health and physical conditions. Each injury must be addressed accordingly. Pulseless electrical activity follows somewhat similar treatment protocol as that of asystole. Patient is given a shock in order to reset the rhythm of the heart; however in PAE the electrical stimuli conduction in heart is not a problem. First thing first, CPR must be done for 2 or more minutes, after which pulse and rhythm should be checked. If the rhythm becomes shockable, then the next step would be defibrillation; if not, then stick with CPR and administer epinephrine to the patient every 3-5 minutes. Simultaneously patient's airway must also be secured. If patient is suffering hypovolemia, then blood or normal saline must be given to replace the loss of fluids. It's essential to look for the underlying causes to make the treatment more targeted and effective.